PRF - Shield's Premier Frame Range — Marquee manufacturer and temporary structure sales. Over the last couple of years, we were developing a frame that could fill a need for the next set of bigger and more capable structures, with great many applications (pavilions, exhibitions, temporary structures etc). We are calling this range the PRF range. Our CMS range is a successful products that serves all of our customers well. However, some have requirements that go past the 15m width of the largest CMS structures we currently offer. That was a problem. The very first shield prf “a” frame vertical. 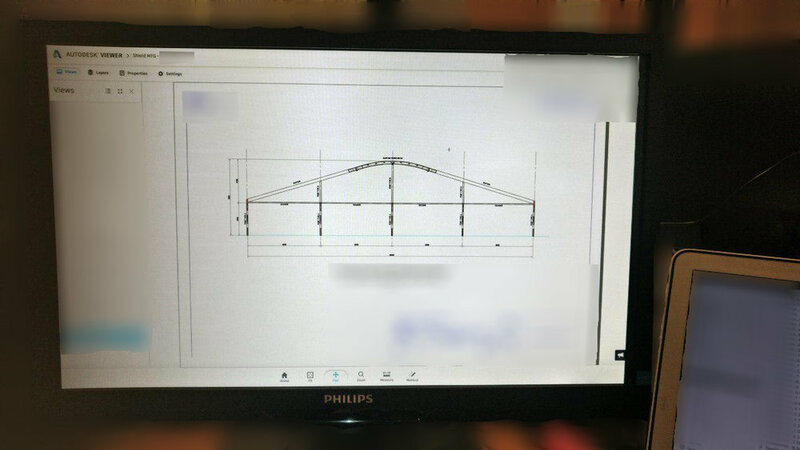 Frame of shield’s first 20m structure.